During the Economic Mission in India the last few days, DHA has signed a Memorandum of Understanding together with Cooperation Across&Beyond and VenhoevenCS. 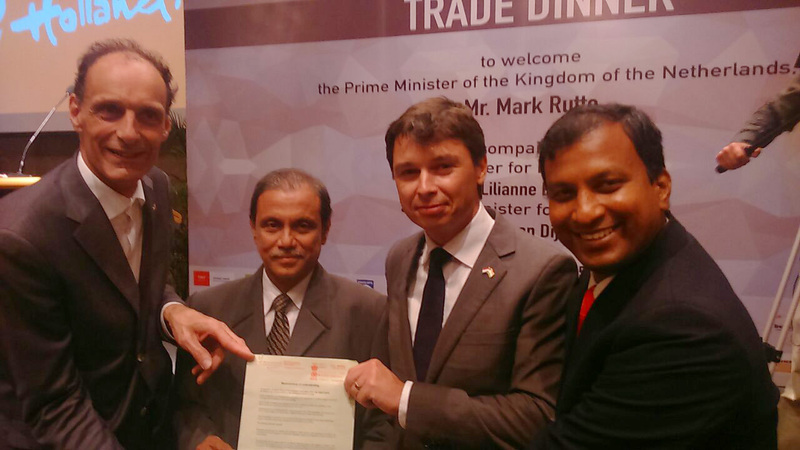 A Dutch business delegation with knowledge and expertise in various sectors visited India from 3-6 June. The delegation was lead by the Prime Minister of the Kingdom of the Netherlands, Mark Rutte and joined by the Minister for Foreign Trade and Development Cooperation, Lilianne Ploumen and the Minister for Agriculture, Sharon Dijksma.